This is the big question we get from everyone eligible for Medicare. First, Medicare leads in with its own language from the start. Part A. Part B. G plan. Part D. You name it. We're running out of letters to use. Medicare's complicated enough for someone coming off of employer coverage or their own individual plan. Now add to the mix two completely different ways of addressing the holes of Medicare. Supplements (or medigap plans) and Advantage plans. Let's really understand how these two types of plans are different. Most importantly, how does it affect you, the member. A Supplement versus Advantage plan comparison to end them all (finally). Before we get started, let's look at what core Medicare covers (and doesn't cover). It is generally available to people who are 65 and older or who are permanently disabled under age 65. There are two main sections. 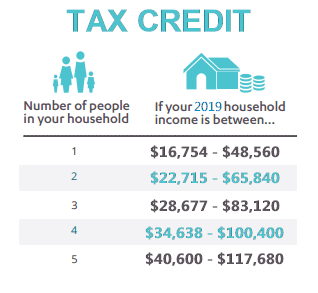 Part A is the part you pay into all your life through payroll taxes. You can also "buy in" to Part A if you did not make enough contributions. You generally do not have to pay anything for Part A. Part A covers Hospital and Facility costs. Part B covers Doctors and non-facility services (think labs, etc). Part B requires a monthly premium to be paid. The amount you pay will depend on how much money you make. It can go up from the base amount. You have to "opt in" to Part B. You will not be automatically signed up. What about the benefits under these two parts? Medicare works like an 80/20 plan with deductibles for Hospital and a separate one for Doctors. The Part A deductible is an amount you will pay first before the plan starts helping for physician services. This amount goes up each year. The Part B deductible is an amount you will pay first before the plan starts helping for doctor services. This amount also increases slightly each year. The real "hole" of Medicare by itself is the 20%. 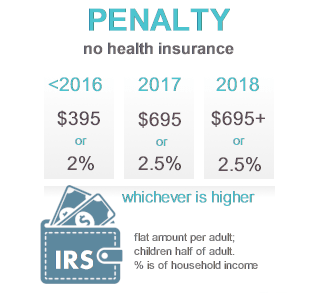 Once you meet one of the deductibles mentioned above, you are responsible for 20% of the remaining charges (calendar year). There is no cap to this 20%! For example, if you have a $100K bill, you'll be on the hook for $20,000 if you only have traditional Medicare Part A and B. That's really the main issue we want to address first. Let's cap or get rid of this 20% share of costs. Keep in mind that in today's world, a simple out-patient surgery can run $15K. That means you're on the hook for $3K if you only Medicare. When Medicare was first created, medications were not such a big deal. Oh how things have changed! 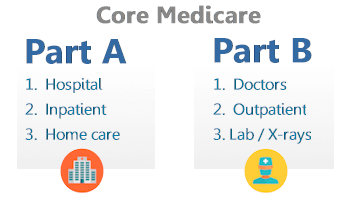 Core Medicare does not cover RX other than what might be administered in a hospital setting (say during surgery). Part D was created to address this gaping need and we'll discuss this later. So we have these big holes in traditional Medicare. We'll describe these separately but then we'll roll up the sleeves and compare the two. That's what everyone is here for. You can jump right to the Supplement and Advantage comparison here. Let's first look at Supplements for Medigap plans. This was the first type of plan to enter the market specifically to fill in holes of traditional Medicare. Let's discuss which of these benefits are extremely important (for the novices out there). This is the real reason you get a Supplement. It's basically protection from the big bill. Or a series of big bills. An onslaught of big bills. Let's say we have $100K or even $250K of bills in a calendar year. Think heart bypass. Think Cancer. We like to NOT think about these things but they're there and we want to make sure they're covered! If you only have traditional Medicare, once the deductible met (or both of them - hospital and doctor), you'll then start paying 20% of the remaining charges. Your 20% exposure never ends! For that $100K bill, you're on the hook for $20,000. For the $250K bill, you're responsible for $50,000. As we get older, these are terrible odds. You're more likely to have higher medical bills in the age band that Medicare covers. We need to get a Supplement or Advantage plan to cover this 20% AT LEAST! The deductible are not as extreme (depending on your finances) but it still makes sense to cover them since we're more likely to hit them during this age band. The Part A deductible is for hospital and facility based services. In 2017 it's $1316 per stay and goes up a bit each year. At least this is capped but one hospital visit pays for an entire year of the G plan at age 65. The Part B deductible for physician charges, services out of doctor's office, labs, etc. In 2017 it's $183 for the calendar year. You can see how some pretty basic health care needs quickly pay for a Supplement or Advantage plan. Excess. It's a term new to most people entering Medicare. Basically, excess allows Medicare providers to charge up to 15% more than the allowed Medicare charge for a service and still be considered a Medicare provider. Many doctors are starting to do this. As finances continue to pressure the Medicare system (simple number of working Americans supporting number of Medicare eligible Americans), there will continue to be reimbursement pressure. Under this pressure, more doctors will start to charge the excess amount. Not because of where we are now but because of where we'll be 5-10 years out. Keep in mind that you may be selecting a plan to cover decades! We need to plan accordingly. The other gap in Medicare are potentially less of an issue. The first three pints of blood (Medicare covers afterwards). A limited Travel insurance benefit (travel insurance works better). Hospice and Nursing care are critical but the big four are the two deductibles, the co-insurance, and the excess coverage. We also need to talk about the biggest gap in Medicare. We've talked about Part A and Part B. Let's skip C and go right to D! Part D came to the party late but very well received! 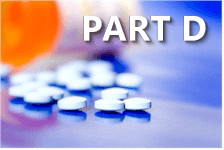 Part D is a private plan that you purchase which covers medications. This is separate from Medicare and separate from Supplements. RX may be embedded in Advantage plans. That's a big difference and we'll discuss this when we compare them. Just know we need medication coverage. That's basic Medicare. Just the broad strokes of what's missing. Let's fill in those missing pieces. Medicare Supplements are private health plans you purchase to fill in the holes of Medicare we discussed above. Let's look at the key factors that make them so popular. The big draw of Supplements is that they work like PPO's. You can see any doctor or facility that participates with Medicare which is most of them. You're not locked into an area and can even see providers in other States. Decisions on healthcare are made between you and your doctor as long as Medicare covers the service. Supplements are about flexibility and control. Keep in mind that supplement benefits are standardized by the Federal government. This means that a G plan with one carrier will be identical to a G plan from another carrier. It then comes down to price, pricing stability (important), and customer service. We'll help compare the carriers in the comparison section. Just to be confusing, the supplement plans have letter names from Plan A to Plan N with a few letters missing in-between. Each one has slightly different items that they cover. In 2020, the C and F plan will go away for new enrollees. Existing members can continue to stay on those plans and we discuss in another article how to use that information. The G plan will be the likely heir to the throne that the F plan currently holds. 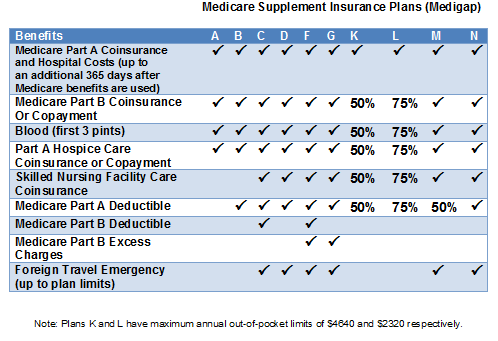 The F plan has been the most popular supplement plan by far since it fills in all the major holes of Medicare including Excess (very important as we mentioned in Medicare overview). Here's the net net for Supplements. It's really hard to argue against the G plan if you want the flexibility and control that supplements offer. It covers excess and all the core gaps in Medicare. The pricing is great...especially against the soon to be phased out F plan. To make it short...I would enroll my parents on the G plan. If you have a supplement, you also need a Part D.
As licensed health insurance agents with decades experience in the Medicare supplement market, we're happy to help you. We contract with all the carriers so really just want to find the best value for your situation. Quote here or call us at 800-320-6269. Email is always welcomed as well. That's a top level look at Supplements. What about Medicare Advantage plans? Think of Advantage plans as the HMO of the Medicare world. We have Medicare HMO's before and they didn't work too well. Voila...a different funding, a new name, and they're baaaccck! The trade off is monthly premium versus control and network access. For some people, this is a question of affordability. This is important since each carrier has subtle differences in the plan design. They cover the same holes of Medicare (except excess since you have to stay in network). The plans usually breakdown into a few key components that are very comparable to how pre-65 health insurance plans work. There is generally a copay for office visits. Primary may have a different copay from Specialist. For larger services beyond the office copay, there may be a deductible you have to meet first. Once the deductible is met, you may then pay a percentage of the remaining bills until you hit the max out of pocket. This is the amount you can expect to pay in a calendar year for covered benefits. It's really your protection from the big bill. Medication may be included as a covered benefit in Advantage plans. This is usually handled with copays that vary for generic and brand drugs. With Medicare Advantage plans (most of them), you have to stay within a network of providers. This is true of all HMO's. This network is usually based on your home address. Decisions on healthcare will be more "managed". This means there is a financial consideration taken into account on what course of treatment to pursue. Out of your area, you will generally only have coverage for true emergencies. That's top level look at Advantage plans. Let's compare Supplements and Advantage Plans in a way you can actually use. Taking a look at the grid, you can pretty quickly size up what the trade off is. We'll start with the one on everyone's mind at retirement...Pricing. 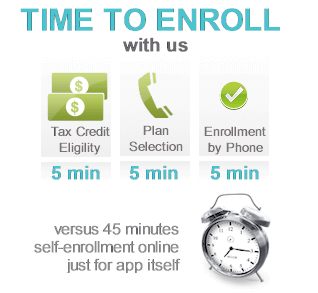 Put simply, Advantage plans are generally low or no cost plans. This is the monthly premium you're paying to have the plan. It's separate from Part B premium! The most popular plan (G plan soon) will be coming in just over $100/month for 65 year olds. For some people, that's not workable. In that case, the Advantage plan may be the only option that's feasible. 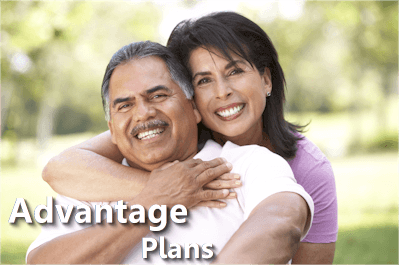 Monthly pricing is THE benefit of Advantage plans with Medicare. BUT...it's not the only calculation that affects money! If you get sick or hurt, how much will be out of your pocket? Starting with age 65, we shouldn't expect healthcare needs to decrease! In fact, healthcare expenditure roughly doubles with each decade of a person's life (outside of maternity blip). This only accelerates as we get older! That's a big deal with the Supplement and Advantage plan comparison. With a G Supplement plan, you'll have very little out of pocket (just the doctor deductible). With an Advantage plan, you could have a few $1000 out of pocket depending on your plan choice. How do we compare these? We need to really compare the annual premium difference against our annual worst case exposure! We can help with this process but the decision between Supplement and Advantage plan usually comes down to PPO versus HMO. That's brings us to doctors! We touched base on the pricing difference. 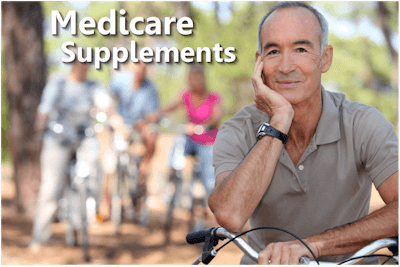 With Supplements, we can use any Medicare provider. Anywhere. If there's a specialist in Arizona for a given ailment, you can see them (assuming Medicare provider). You can take the policy with you if you move. In our out of the State. With a Medicare Advantage plan, you generally pick a primary care doctor or medical group which coordinates your care. You must stay within this network for care outside of a true emergency. The list of doctors and hospitals will also be smaller in a given area. If there are hospitals and/or doctors you absolutely want access to, it's best to check on their participation first. You will see a provider listing available through the quote or we can help you via email. The list of doctors is different. What about how we interact with them? This is more a function of how HMO's work. The polite way to say it is that the care will be more "managed". With a supplement, you and your doctor make decisions on what course of treatment to pursue. With an Advantage plan, the care must be approved by the insurance carrier. It may take longer to get to a certain type of treatment. Try 3 weeks of PT before getting an MRI. etc. This is just the way HMO's work and the Advantage plan IS an HMO. If you want more control over health care decisions, Supplements will work better for you. People usually have a pretty good idea of their preference for HMO or PPO. You can read up more on HMO versus PPO here. Let's talk about the final piece...Prescriptions! The distinction with RX falls in line with other differences between the two. First of all, RX is NOT covered by Medicare Supplements. You have to get an additional Part D plan to cover medications. The Part D works more like a PPO in that the doctors have more control over what to prescribe. The Part D plan then pays according to the benefits and you have different levels of coverage you can pick. Part D requires it own article and conversation. It's a whole different world! What about RX with Advantage plans? Advantage plans generally income medication coverage. The benefits may be comparable depending on the plan you pick but the list of drugs may be more narrow. Also, due to the HMO nature of the Advantage plan, decisions on what medications to prescribe will be more controlled by the insurance carrier. Less cost. Less control. That's the HMO way. That's the Medicare Advantage way. Hopefully, we given you a good overview at how the two plans differ and compare. For specific questions, we're happy to help. We have dedicated Advantage agents available as well as dedicated Supplement agents. Our goal is not one or the other. Our goal is to find the best fit for you. 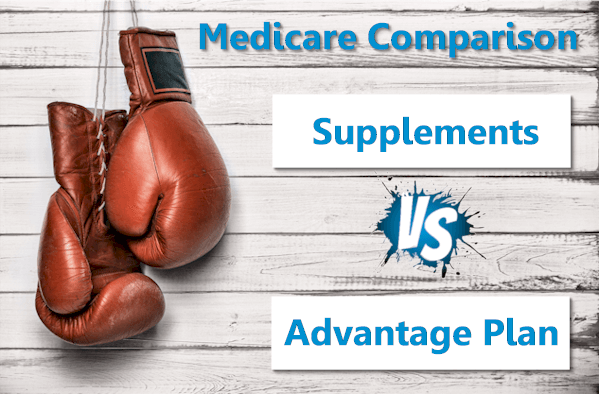 It's really PPO (Supplement) versus HMO (Advantage). This means higher premium but less cost sharing when you need health care for Supplement. This means more control of health care decisions and choice of doctor for Advantage plans. For other questions, please let us know. Again, how can we help?? Call 800-320-6269 for any questions on which option is best for your situation. Our services are free to you! You can run your Medicare Supplement and Advantage Plan Quote here to view rates and plans side by side from the major carriers...Free. Our Services are FREE to You! "My sincere thanks for making a miracle happen- 2014 health insurance !! Many thanks for your expertise and advice yesterday !!" This website is owned and operated by Goodacre Insurance Services, which is solely responsible for its content. This site is not maintained by or associated with Covered California, and Covered California bears no responsibility for its content. The email address and phone numbers that appear throughout the site belong to Goodacre Insurance Services, and cannot be used to contact Covered California. 2017 Copyright All Rights Reserved by Goodacre Insurance Services.